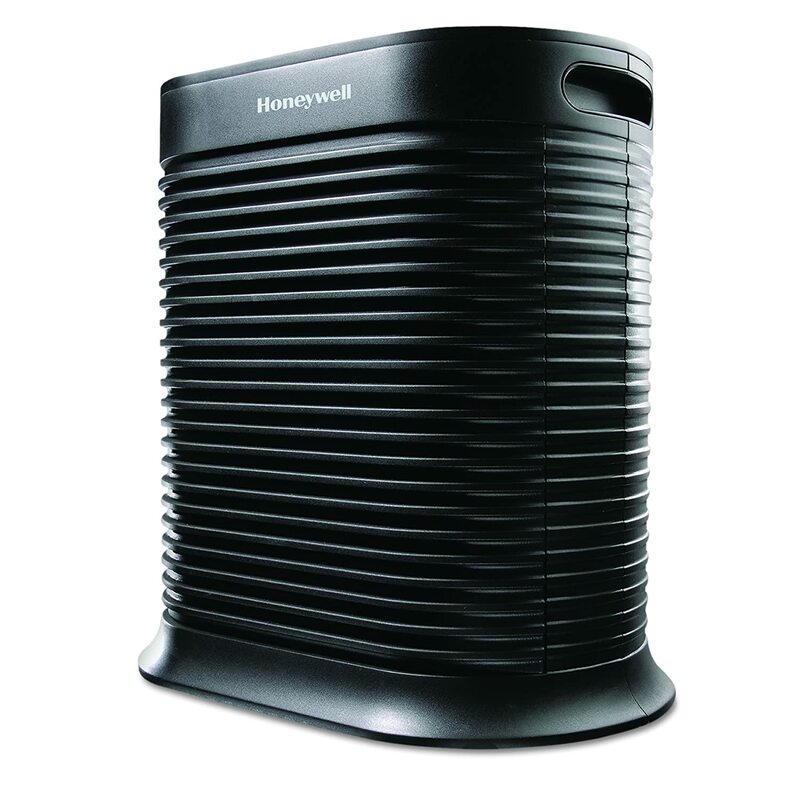 If you need a well-known brand for your air purifier, you may hear about Honeywell HPA300. This air purifier is the proud product of Honeywell – a top Fortune-100 brand for electronics. It’s time we read about a Honeywell HPA300 Review to see why this model is still the top rated device when considering a Honeywell air purifier. Honeywell’s latest air purifier flagship is Honeywell HPA600B and Honeywell AirGenius 6 HFD360B. Unlike Rabbit Air and Austin Air, Honeywell has yet to become a household name outside of its native USA. But although Honeywell’s devices may not be so easily available in Asia, some of them are certainly worth hunting down. The Honeywell HPA300 is definitely one of the most hunted air purifiers of this brand. Let’s find out in our Honeywell HPA300 Review. This air purifier is a high-end machine with a hefty price tag when it arrived, but many years on, the cost has reduced significantly making the air purifier an attractive option for those who need a high quality air purifier. Today, I count this air purifier in low-range list. The Honeywell HPA300 is a huge improvement on the Honeywell HPA200 with more fan power and an improvement in True HEPA filter. After years of too-hasty devices updates from Honeywell with minimal enhancements (especially when you consider the similarity of Honeywell AirGenius 3 HFD300, Honeywell AirGenius 4 HFD310 and Honeywell AirGenius 5 HFD320), this finally feels like a worthwhile advance on the previous model. Originally the Honeywell HPA300 price was set at $280, but there’s been a price drop since the announcement of the many new devices from this brand, notably the flagship HPA600B and Honeywell AirGenius 6 HFD360B. You can now pick up this air purifier from $249, and you can able to grab it from Amazon if you follow from our deal. This new price tag gives the Honeywell HPA300 more reasons to pick up, but also set this air purifier into the most aggressively competitive market. I don’t want to daze you, but Honeywell keeps confusing their customers with a huge list of $200 air purifiers. The most common picks are Honeywell HFD320 and Honeywell HPA250B, which are both the legitimate alternatives for this Honeywell HPA300. However, it seems the Honeywell HPA300 is still a clear winner if compared with the brothers, mostly because of the overall performance. But again, does anyone really need to tell the difference from the Honeywell? Look at Rabbit Air – another American brand, they only keep two available model in the market. The competition is not just inside the brand, many air purifier brands believe that this $200 sector is the most important to play into. If you are looking for the mere performance of air purifier, you need to opt in for Coway AP-1512HH, Blue Pure 211 or Winix WAC9500. They have more or less advantages than this Honeywell HPA300, and that’s why they always stay high in the list of best air purifiers. The best rated Honeywell HPA300 in black edition. One of the best True HEPA air purifiers in this world. Honeywell HPA300 comes with 2 main editions, the basic Black and White. Our Honeywell HPA300 is an iconic Black edition of Honeywell air purifiers, while the Honeywell HPA304 is a White edition. Honeywell HPA300 looks like, well, most other Honeywell’s air purifiers. Honeywell settled on this design language awhile ago, and though it’s started to get a little boring, most users apparently don’t mind. There’s no differentiation in design, but if it ain’t broke don’t fix it, as they say. The metal unibody design with rounded edges and full-body air intake grill works in this price range, where durability is an important consideration. The device feels solid and looks like it can set up a large fan. Actually it does, because the Honeywell HPA300 is able to deliver high air changes per hour. The function buttons are located on the top of Honeywell HPA300, as usual as other common air purifiers (not Winix WAC9500, though). There are two LED indicators for pre-filter and True HEPA filter replacement. Also, you will find the air outlet grill here, which is typical for a classic air purifier. If you choose a Honeywell HPA300, it means you select the Black edition. For the White version, you should search for the Honeywell HPA304. Below is a shortcut to your Honeywell HPA304, which has same specs as the Honeywell HPA300. Honeywell HPA300 has one handle for each side, and with the weight of 24 lbs, this air purifier is quite heavy to move from one room to others. Also with 22 inches in height and 21 inches in width, the Honeywell HPA300 is quite big for a small room. If you are looking for a small air purifier from Honeywell brand, you should look for Honeywell HPA100 or Honeywell HPA060. Pre-filter – The pre-filter has Activated Carbon filter in it. This will both help absorbs VOCs, gases, odors and traps larger particles. However, as a combination with a carbon filter, this pre-filter needs to be replaced after 3 months. True HEPA filter – The heart of this air purifier is a True HEPA filter to capture up to 99.97% of as small as 0.3 microns pollutant particles like pet dander, mold, viruses, bacteria and pollen. Again, we have a True HEPA filter from Honeywell brand, which is still running in the core of the predecessors. However, the power of this True HEPA filter stays in its technology, which is fully capable of capturing an astonishing 99.97% of airborne particles at 0.3 microns, and even the 0.005 microns viruses. This performance is higher than any True HEPA filters under the same $200 level. To test this Honeywell HPA300’s True HEPA filter, I put it in a comparison with Coway AP-1512HH, Blue Pure 211 and Honeywell AirGenius 5 HFD320. These air purifiers were all running in the same conditions: large coverage of 300 sq ft, running continuously in 1 hour. Astonishingly, the top results are Honeywell HPA300 and Blue Pure 211, which both has an amazing efficiency of 99.95% of 0.3 microns particles. The Coway AP-1512HH has an efficiency of 99.95% in a 150-sq-ft room, but falls to 99.7% in a space of 300 sq ft. Honeywell AirGenius 5, however, can only deal with 90%. But not like the Coway AP-1512HH (or the Winix WAC9500 with the same efficiency in small room), the Honeywell HPA300 has only True HEPA filtration technology, which is completely safe without any ozone emission. Personally, I enjoy the mechanical air filter more, and of the all three, I would pick the Honeywell HPA300. With that advanced True HEPA filtration, the HRF-R3 air filter of Honeywell HPA300 doesn’t cost the earth. Instead, you will have a classic $68 air filter, which can last easily for one year. The Blue Pure 211 costs the same, but can only runs for 6 to 8 months. And of course, I don’t want to mention the $119 air filter of Winix WAC9500, for an obvious reason. Honeywell HPA300 is designed for extra large rooms, and we would expect no less than a 465 sq ft room coverage in this air purifier. This room coverage is truly formidable, given that the other opponents are only able to cover a much smaller room coverage (the Winix WAC9500 can only cover 284 sq ft, and Coway AP-1512HH can deal with 360 sq ft). The only exception, Blue Pure 211, can easily secure a room of 540 sq ft. Another candidate from the Honeywell brand, which is near the perfection of Honeywell HPA300, is Honeywell 50250 with 390 sq ft and $40 less. The ACH of Honeywell HPA300 is up to 5x. With high air changes per hour rating like this, Honeywell HPA300 is an extremely powerful air purifier. To achieve such high ACH, the manufacturer has made a classic design for this air purifier to maximum the utilization of its fan. The CADR of Honeywell HPA300 is 320 Dust/ 300 Smoke/ 300 Pollen (cfm). The CADR rating tells exactly how well an air purifier can clean the air within a particular size room. You can tell from these specs that Honeywell HPA300 is a perfect air purifier for 465-sq-ft room, and even for a much larger room. There is only one disappointment with a powerful fan like Honeywell HPA300 – the noise level. To compensate for the big fan and high ACH/ CADR, this air purifier has a higher noise level than other air purifiers at the same price range. The manufacturer just only make a Turbo setting, not a Silent mode for this device. If you are planning to purchase one air purifier in your office or when you sleep, you should think again about Honeywell HPA300. I have read many negative reviews of how noisy this air purifier could make, and it seems that these reviews are increasing. One of our most FAQs is “Do air purifiers use a lot of energy?” In fact, we need to run an air purifier for a long time to be efficient. And power consumption is one important criteria to review if this air purifier is a must buy or not. Honeywell HPA300 has a high power consumption of 40W – 130W, with the difference from the lowest setting and the Turbo fan speed. This power consumption is higher than the others like Coway AP-1512HH, Levoit LV-PUR131, and Blueair Sense+. Let’s have a quick math, if you are using a Honeywell HPA300 for like 8 hours per day, it would cost you up to $50 per year. Even with an Energy Star rate, this air purifier still consume too much power to operate. If you don’t like a high electric bill, it is better to purchase other models from this Honeywell brand, like Honeywell AirGenius 3 HFD300, Honeywell AirGenius 4 HFD310 and Honeywell AirGenius 5 HFD320. Unlike many other air purifier brands, Honeywell doesn’t install the Smart Sensor feature in their old devices. You can only find the basic settings like a Timer, with 3 different values of 2 hours, 4 hours and 8 hours. There are 3 fan modes: Allergen, General clean and Germ. For the maximum efficiency, you can switch to Turbo mode. Turbo mode maximizes the Honeywell HPA300’s fan and should be use for extreme allergies situation. Also, we have a auto light dimmer setting in this air purifier. The last but not least, you could remember the replacement date due to the electronic filter replacement reminders. The value of this Honeywell HPA300 mostly stays inside its performance rating. If you need a Smart air purifier, you should go for the Honeywell HPA250B or Blueair Sense+. 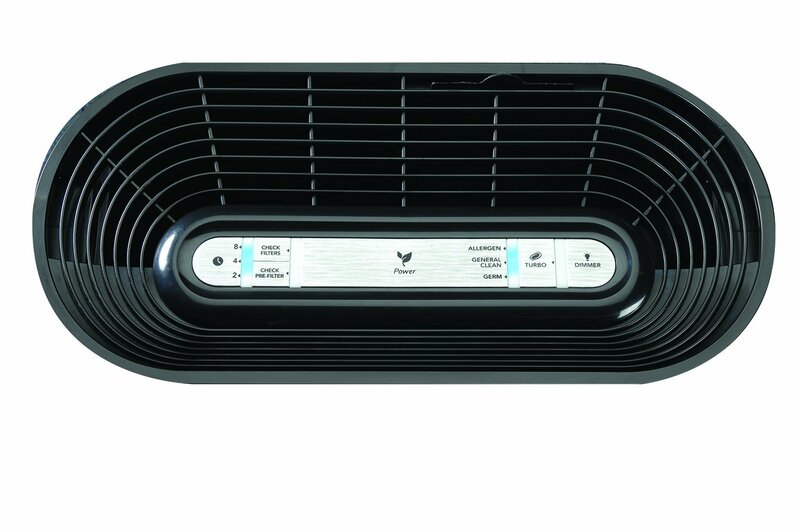 If you are looking for a Smart flagship air purifier of Honeywell, you can look for Honeywell HPA 600B. Honeywell HPA300 is still a good air purifier to check if you want some real deals for your allergens and asthma attack. Comparing the performance from this air purifier with other brands like GermGuardian or Biota Bot, I choose to stay with this air purifier. However, the lack of smart features and the noise level makes anyone reconsider when they look for Honeywell HPA300 as a home air purifier. Should I buy Honeywell HPA300? Yes, of course, especially if you want a complete protection against all types of airborne allergens, germs, bacteria and viruses. But if you need the smart features, you should say no to the Honeywell HPA300. If you have serious allergies or asthma to airborne pollutants: the Honeywell HPA300 is powerful with the high-quality True HEPA filter. If you want a better performance, or better fan power to clean your room faster: the only air purifier that can be better than this Honeywell HPA300 is the Blue Pure 211. If you need a budget version of this air purifier: you should opt in for the Honeywell HPA100 or Honeywell HPA200. Excellent build quality, top-line air filters and a high ACH/CADR rating make this budget offering one to consider.